Cesarean practice is becoming increasingly popular as a choice of delivery procedure, but sometimes, unfortunately, it is not accompanied by medical emergency reasons. Even though according to reports, the death rate is three times higher in mothers who undergo cesarean section when compared to mothers who give birth normally. In addition, it should be noted that cesarean section in mothers who have not experienced contractions can cause an increased risk of respiratory problems in their babies. An obstetrician believes that at present most women who undergo normal labor can take longer. Therefore, the latest guidelines for the international obstetrician association state that pregnant women who have a low risk of pregnancy disorders should be allowed to spend more time in the first stage of childbirth. This is to avoid the action of a cesarean section that is not actually needed. The doctor must be more patient while handling the labor process and not rush to choose the path of surgery. It is true that the purpose of cesarean is to save the life of Mother and baby if labor complications occur, but the rapid increase in the number of cesarean sections has raised concerns that cesarean is too excessive and carried out for no apparent reason. As a safety measure, it's a good idea for the mother to seek normal labor. For that, here are some ways you can do to avoid a cesarean section, whether done during pregnancy or during childbirth. During pregnancy, Mother is recommended to avoid excessive weight gain. A gynecology expert said that from his research found that obesity is likely to be an increasing factor in the action of the cesarean section. Obese pregnant women are at risk of experiencing pregnancy complications, including gestational diabetes, hypertension, and blood clots. All of these are the main triggers for the recommendation of cesarean section. To get the ideal body weight during pregnancy, you can do the steps below. Regular exercise. Walking, swimming, and exercising pregnant women are activities that can be done. You can also choose yoga that has been proven to improve sleep quality and reduce stress for pregnant women. In addition, yoga can also make the mother's muscles stronger, more flexible, and increase endurance to give birth. Most importantly, yoga can also help reduce the risk of preterm labor and other labor problems that can trigger cesarean action. As long as it is approved by a doctor or midwife, this activity can help the Mother to stay in shape and be ready to meet the demands of labor. Avoid exercising on your back after the first trimester of pregnancy. Also, avoid any risky activity that makes Mother fall. Within a day, Mother needs to consume 5 servings of fresh fruit, and 3-4 servings of fresh vegetables. Mother is recommended to consume 2-3 servings of dairy products such as yogurt and solid cheese. Red meat, fish that are free of mercury, soybeans or tofu, and eggs. The daily protein needed is a maximum of 170 grams. Rice, pasta, cereal, or bread as much as 6-8 servings per day. The mother may choose a midwife to help give birth normally. Make sure the midwife is certified and ask the doctor and hospital partner if you later experience labor complications. Before deciding to use the services of a midwife, make sure your pregnancy runs normally because it is not recommended to give birth in a midwife if you have a high-risk pregnancy, such as pregnant twins, have chronic health problems, high blood pressure or gestational diabetes. There is a good idea to check your pregnancy at the obstetrician first. Most pregnant women need more rest than they think. This is because the birth process will make the body more tired than usual. However, on the other hand, Mother may have difficulty sleeping. Try to lie down in a comfortable position, for example, tilted to the left with your legs bent. You can also use several pillows to support your back to make it more comfortable. Striving to have enough rest before labor is very important so that the physical mother can fulfill the demands of labor without medical intervention such as cesarean section. Go to a midwife or hospital if you have an active labor stage, meaning that the opening of the cervix has reached 6 cm instead of 4 cm. Too early to come to the hospital for labor when Mother is still in the early stages of childbirth can trigger unnecessary intervention during childbirth, including cesarean section. Keep in mind that the first phase of childbirth is the longest and is characterized by mild contractions. If you are still in this phase, try to walk back and forth and occasionally squat to help progress normally and healthy so that you reach the stage of active labor. When you are in the active delivery stage, go to the hospital or midwife. For the sake of smooth delivery, good communication is needed between doctors or midwives with patients so that the medical decisions taken are the right solution for Mother and baby. Therefore, you need to consult with your doctor or midwife before giving birth. Ask how they are about labor. Express your desire to give birth normally and make sure the doctor chosen is one who respects your desire to give birth normally. If possible, ask what their 'primary cesarean level' describes as a percentage of the likelihood that the doctor will perform the first cesarean section. 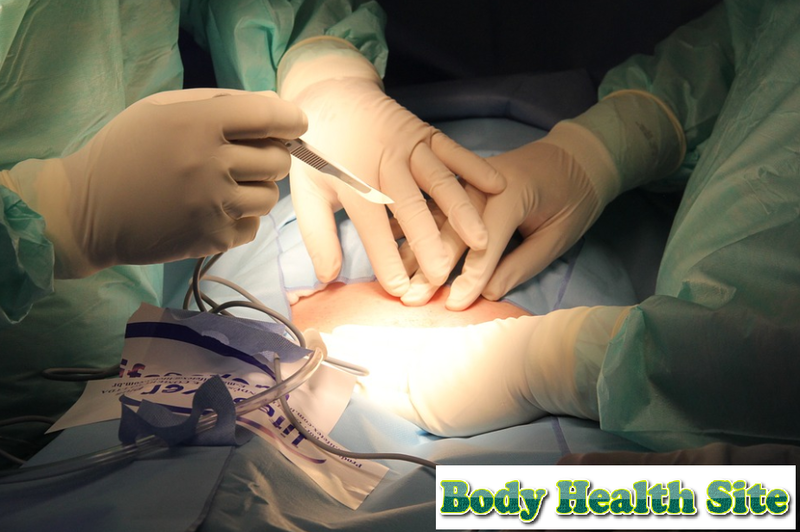 The primary cesarean section is ideally around 15-20 percent. Also ask if the doctor uses techniques to help with normal labor, including forceps. In addition, try to avoid induction during childbirth if you and your baby are in good condition to continue labor. Research shows that induction during labor can multiply the tendency to do the cesarean section. 0 Response to "How to avoid giving birth with Caesarean section?"